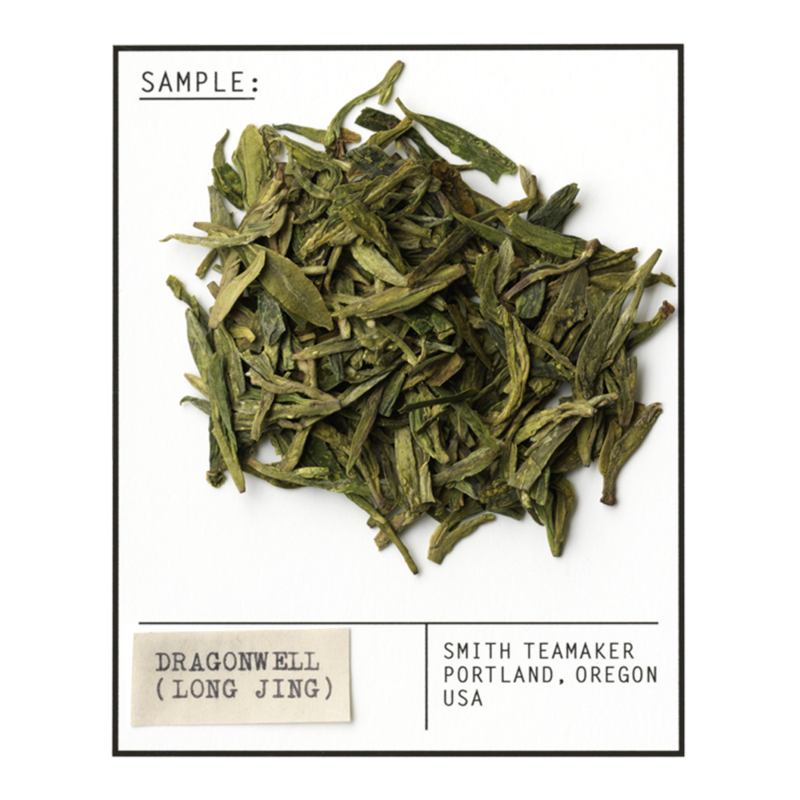 Pan-fired in a hot wok and flattened by hand, Dragonwell (also known as "Long Jing) is for many the most famous green tea. The best comes from Hangzhou, near the spring where a dragon was said to dwell. We prize its pale emerald color and slightly sweet, chestnut-like taste. Exactly one-half the age you may reach if you drink Long Jing every day. Full leaf green tea from Zhejiang Province in China. For best flavor, bring spring or freshly drawn filtered water to 190 degrees. Steep three minutes while imagining that your cup is the Dragon Well. Traditionally pan-fired in a hot wok and flattened by hand, Dragonwell, also known as "Long Jing", is for many the most famous green tea. The best comes from Hangzhou, near the spring where a dragon was said to dwell. We prize its pale emerald color and slightly sweet, chestnut-like taste. Hangzhou is the capital city of Zhejiang Province in Eastern China. Long since seen in China as a center for culture, food and art, Hangzhou is also famous for Xi Hu, or its West Lake. True to its name, this westernly situated lake is a pure joy to jog around in the morning, where one can take in the scenery and watch the locals gather in groups to practice taijiquan, line dance, jazzercise and so much more. Long Jing is harvested from late March to May.